When a fellow FBI agent is kidnapped and a protected witness vanishes, Leo Gallagher will stop at nothing to find them both. 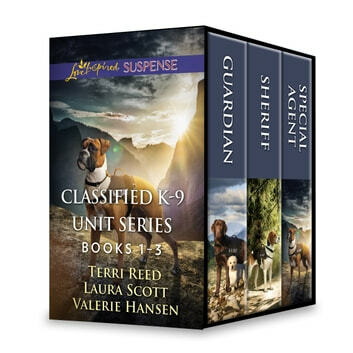 So when he discovers a link between the case and a single mother in Wyoming, Leo and his trusty K-9 partner rush to question Alicia Duncan. Could she be the key to locating the missing persons? Not if a killer has anything to say about it. Witnessing a prison break, FBI agent Julianne Martinez is within seconds of death…before she’s rescued by the one man she thought she’d never see again. She’d know her long-ago love, Brody Kenner, anywhere, even with a sheriff star on his chest. But partnering with Julianne to solve two cases only leads to danger when the hunted becomes the hunter. This is a mission that cannot fail…because Brody lost Julianne once, and he won’t lose her again.